Intralox strives to create significant economic value for our customers by optimizing their conveyance systems; Demo3D helps us to do that. We use Demo3D to emulate real-world production environments for end users and OEMs working in multiple industries, including packaging, warehousing, parcel, beverage, brewery, food, tire, and consumer goods. This enables us to develop optimal equipment configurations and layout designs for our customers. Additionally, using Demo3D helps our customers conceptualize solutions; they can see how ARB technology will handle their packages and improve product flow within a facility. Partnering with Demo3D, Intralox created a product catalog that accurately represents our ARB technology. Prior to using simulation, we frequently had to perform physical tests to demonstrate to customers how ARB equipment would handle their products. Demo3D allows us to do real-time testing of product behavior and to easily run multiple scenarios and make modifications. 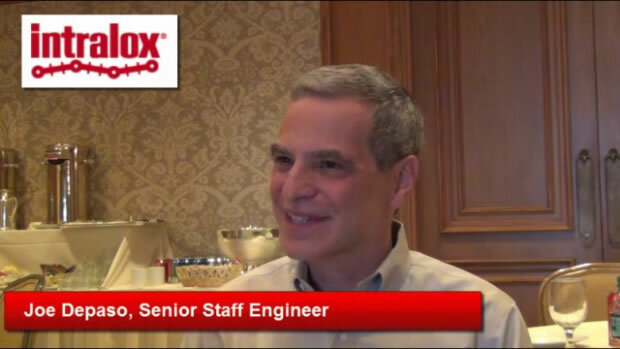 With quick, inexpensive iterations, Intralox can minimize risk, guesswork, labor, and time in planning projects. Intralox is a global leader in conveyance solutions including modular plastic conveyor belting and automation equipment such as Activated Roller Belt(c) technology. 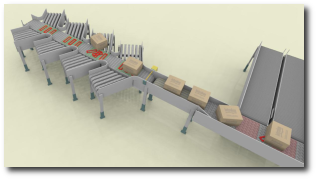 ARB brings dramatic improvements to system layouts involving processes such as sorting, depalletizing, merging and case turning in order to increase functionality and reduce costs. Proven in over 2,500 installations worldwide, ARB technology enables package handling flexibility, high throughput, reduced footprint, and simplified controls. Load movement on Intralox equipment can be complex as it results from many forces. Demo3D technology is unique in being able to reproduce this movement accurately. To access the Intralox website, click here.